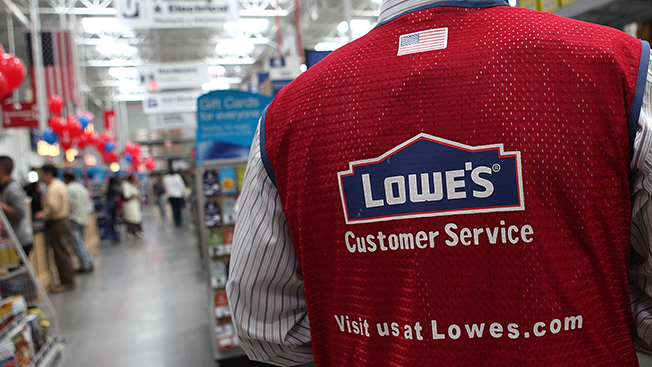 Home improvement retail chain Lowe's has issued an RFI ahead of its first media agency review since 2005. The review comes roughly 10 months after the Mooresville, N.C., chain promoted former vp of advertising Marci Grebstein to the role of chief marketing officer reporting to chief customer officer Michael A. Jones. "As part of the normal course of business, we regularly review the agencies and vendors that support our company to evaluate our objectives against performance and ensure we remain strategically aligned," a company spokesperson told Adweek. "As the consumer and media landscape continues to rapidly evolve, we are exploring the most compelling and efficient ways to reach consumers to help ensure we remain well positioned." Grebstein, who joined the company in 2015 after holding vp of marketing positions at Food Lion and Staples, recently spoke of the chain's efforts to reach millennials via the Lowe's Innovation Lab and campaigns powered by Snapchat and other social media platforms. Global marketing consultancy R3 is managing the review, which is in its initial stages. Lowe's Companies Inc. is currently the U.S.'s second-largest home improvement retailer and its eighth-largest retail company by annual sales. According to the latest numbers from Kantar Media, Lowe's spent approximately $320 million on paid media in 2015 and $162 million in the first half of 2016. The chain's last such review was in late 2005, when Lowe's consolidated its media and creative accounts with OMD and BBDO, respectively, after several years with IPG's McCann and Universal McCann. The current review does not involve the creative portion of the business. The news follows a streak of large-scale wins for Omnicom's media networks, chief among them the recent McDonald's consolidation, the $2 billion December 2015 P&G win that facilitated the launch of new media network Hearts & Science, and AT&T's decision to move its media business away from WPP's MEC following the acquisition of DirecTV. One client, yogurt brand Chobani, chose independent shop Horizon Media as its new media agency of record in August after five years with the Omnicom network. A spokesperson for OMD, which was Adweek's Global Media Agency of the Year for both 2014 and 2015, deferred to the client for comment and declined to confirm whether it would be defending the Lowe's account. One source with direct knowledge of the matter suggested that another Omnicom entity would be participating in the review.